I am headed west today, where temperatures will near 90°F. Just the thought of it makes my skin prickle and my brow sweat! On my last shoot, Jeremy and I covered a lot of miles. We love a good road trip because it’s hours upon hours talking about all manner of topics – especially food. And I got to thinking as we drove through Somewhere in the Middle of Utah of a great noodle salad we used to get at Trader Joes when we lived in Southern California. 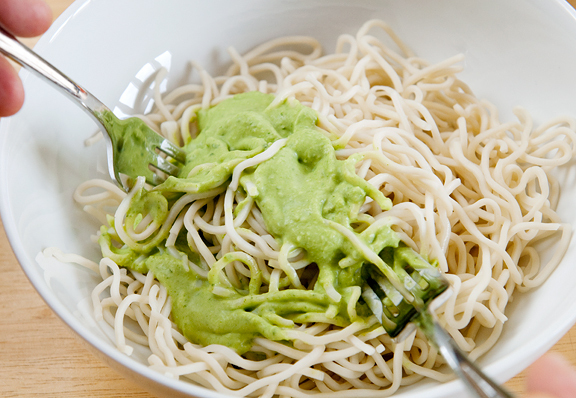 It was a lovely cilantro and coconut dressing over noodles and a few (a VERY few) vegetables. I’ve never found a recipe for it and I had always intended to try making it myself. So that’s what I did when we got home from our road trip last month. This was a little feedback loop: blend a bunch of ingredients together, taste, adjust. Repeat. 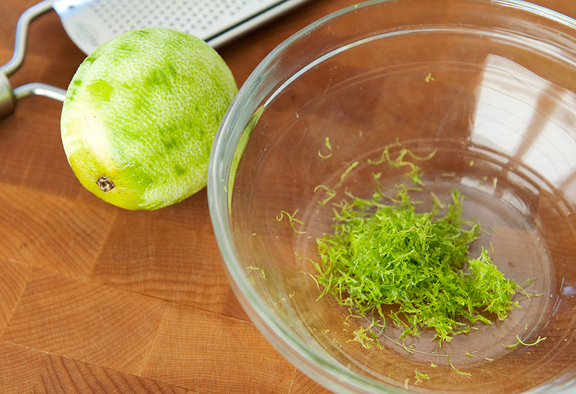 After blending up the main ingredients, I realized that lime juice doesn’t give the same bright fragrance as lime zest. It’s all about what suits your tastes. The consistency was thin, which worried me. However, it thickens up in the refrigerator because of the coconut milk. If you stir it up before serving, it has a nice consistency as dressings go. If you like more vinegar or lime or sugar or whatever, then add more. It’s completely up to you. Jeremy doesn’t have a strong relationship with cilantro and he really likes this dressing – that’s how mild the cilantro is. But if you eat it without the toasted peanuts or toasted coconut, you are short-changing yourself. Jeremy prefers the noodles while I prefer the salad. They are essentially the same except for the noodles/lettuce. I like to add carrots, cucumber, red bell peppers, spinach, and mung bean sprouts then toss everything with some dressing. Make it your own by choosing your favorite ingredients to chuck into a salad or on top of some noodles. When I first tasted the dressing alone, it seemed to be missing something. Only after I mixed it in with the roasted peanuts and coconut did it bring me back to that lovely salad dressing from Trader Joe’s. I’m looking forward to preparing this in the summer when it is too hot to think straight! Combine the cilantro, lime juice, lime zest, vinegar, coconut milk, sugar, oil, salt, and chili paste or flakes (optional) in a blender. Blend the ingredients together well. Refrigerate. 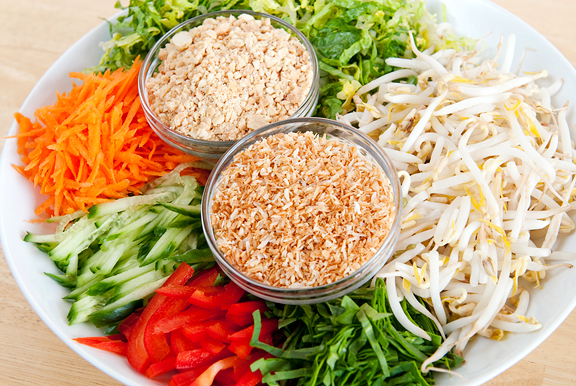 Assemble the salad or noodle ingredients in a bowl and pour dressing over top. 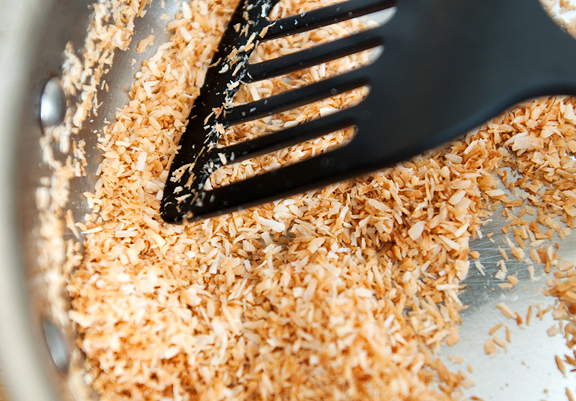 Sprinkle with toasted coconut and peanuts. Serve. Makes about 2 cups of dressing. This looks absolutely divine and will find its way to my Table!! Have a good trip! This sounds incredible! It’s a gorgeous color, too! Never had it before, but it sure looks delicious and not hard to make. it will be our summer meals at times, when it is so hot and no one wants to labor themselves in the kitchen. I believe that we can toast peanuts, cocnut flakes ahead when the weather is cooler. Love the color of the dish. That looks yummy! I bet it would be good if you added some grilled chicken to either the salad or pasta as well. Or some shrimp? Looks like I am going to have to try this out soon! That is a wonderful salad dressing! I’ll have to try it this summer. 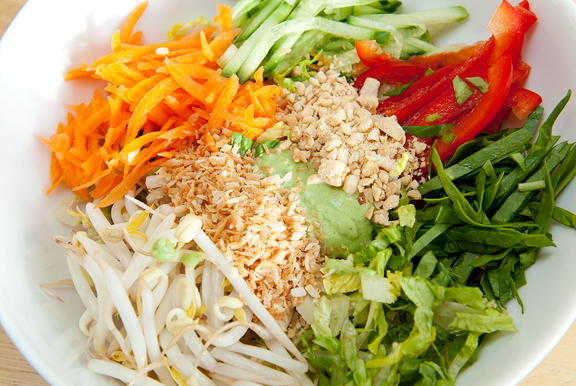 now that is a perfect noodle salad. whenever colors are involved it makes you want to eat that much more. That looks great. I have most of the ingredients in my fridge, so we will have to have this tonight. Now I have to go get some of that at TJ’s to try! If I like it, I’ll have to make your recipe, it looks good. The green sauce is gorgeous and I’m sure it tastes the same. I have more cilantro ready for picking and this looks tempting. Oh my! 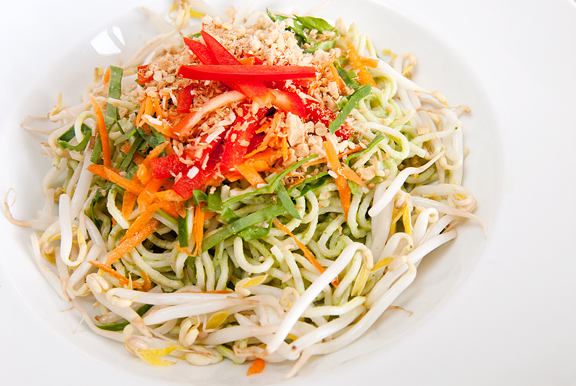 I just ate dinner…and my mouth is watering just looking at that noodle salad! Thanks! Can’t wait to try it. The feeling of nailing something that you like from a restaurant or supermarket at home is simply amazing! I remember the last time I did it was when I was mixing a dipping sauce for a salmon dish which turned out 85% close to the chili sauce I love from a Thai restaurant. And this was a surprise. So, its like double happiness! The noodles and salad look awesome! I would love some right now and can’t wait to try the recipe. Yum! Wow. This is one salad which will NOT leave me deprived! What wonderous colors! I LOVE that shade of green…how spring-like! Mmmm, this sounds phenomenal. The flavours must POP in your mouth. Yum – just the ticket for a hot summer day! Have a great trip! Great ingredient combination! I can’t wait to try this dressing. I love the attribution, haha! :) Is it wrong that I want a good helping of the salad *with* the noodles?? I just can’t decide! I think fish sauce would also be a great variation in place of the salt, whaddya think? Jenn, this sounds amazing. We are planning a coastal road trip in the next few weeks and like yourself, I am always thinking of easy dishes we can bring a long – this is definitely getting added to our menu plan!!!! 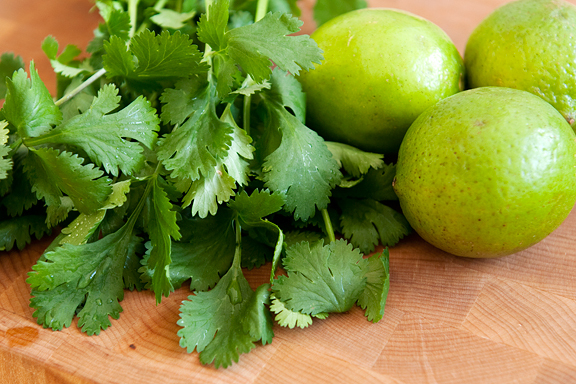 Love the flavor combination – especially cilantro and coconut. It’s like the Vietnamese Bun Cha Gio’. 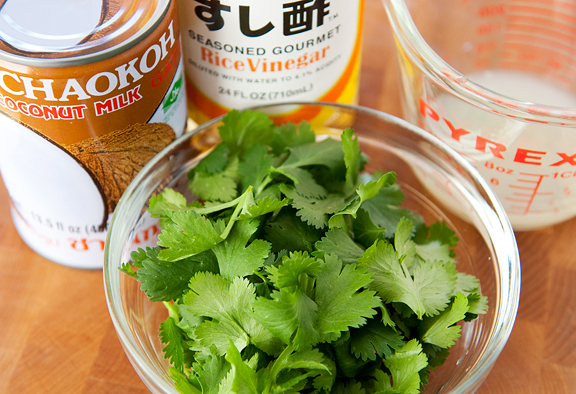 Looks great–I’ve never had it with coconut cilantro dressing! Oh how exciting, that sounds similar to the cilantro dressing that I used to love, I’m putting it on my starred list, lets hope I remember to actually make it! Have fun in the west! I saw your tweet about barstow, I think I remember being pretty miserable there on my first time visiting the US when I realised there was nothing on the menu I could eat in Dennys. Ick. I hope you found somewhere. I’m with Manggy — this salad sounds awesome with the noodles! Ooh this looks like a must-try, no matter what the weather! I can already tastes this just by looking at it – want it! I just planted cilantro a few weeks ago and it’s already going wild and crazy which is very timely for this – obviously. Thanks! Welcome home by the way! Brandi – yeah, I think some shrimp or chicken would be divine with it! Jenny – thanks! We found an In-n-Out Burger in Barstow. Seems like Barstow has expanded considerably over the past 15 years. 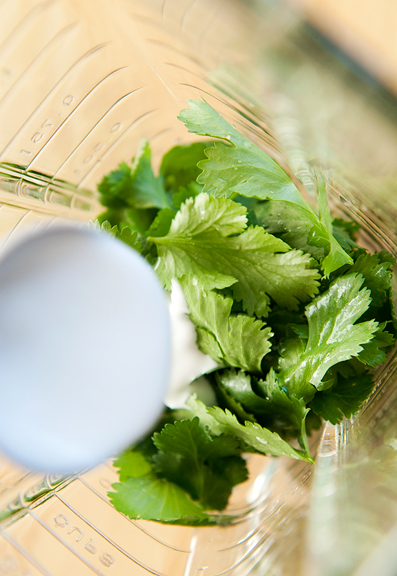 Caitlin – I used to hate cilantro too, but now I love it! Especially with coconut. I made this today and loved the flavors, but had trouble with the coconut milk being solid at room temp. The dressing was very clumpy with the coconut milk not really mixing with the other ingredients. I tossed it with the noodles when they were hot, and it smoothed out then. Just wondering if you had this same issue. It was delicious, nonetheless. My kids gobbled it up! bekah – did you blend the ingredients in a blender? that helps a lot although my coconut milk is not solid at room temperature. 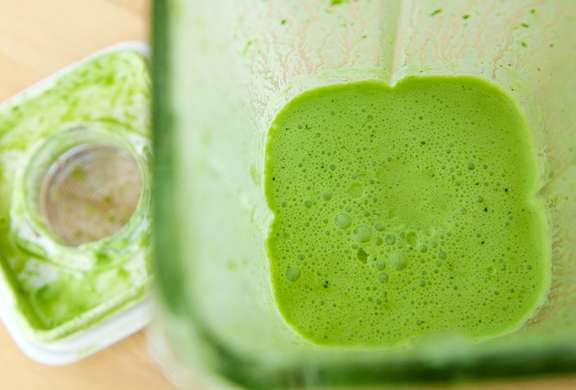 give it a whirl in the blender. We made this for dinner this evening. My husband and I both grew up in Southern California and now live in Boulder County, Colorado. Trader Joes was my primary grocer store in Long Beach and I bought this salad every week. Your recipe was perfect! Thank you for the flash back! The tastes were unbelievable! We will be making this again and again! Thank you, thank you! I’m going to try this soon – I was just telling a TJ clerk last week how I missed that noodle salad, even though they stopped carrying it 10 years ago. He looked at me funny. A couple years ago my recipe googling proved fruitless, but this time I struck gold. Thanks so much for sharing! I was just trying to find out on google what ever happened to that noodle salad, every time I went to trader joes I would get it, and then they just stopped carrying it, so sad! I will definitely have to try and make this sometime this week! You have no idea how happy I am to have found this. My daughter and I loved that salad from TJ’s. They discontinued it when she was 4 and she cried because she had wanted me to pack it in her lunch for the first day of preschool. Can’t wait to try making it myself – thanks! Yum Yums! There’s a Party in my Tummy – So Yummy So Yummy “Yo Gabba Gabba Lyrics” I baby sit part time during the day…This recipe brings this song to mind “Party in my Tummy” after singing it all day with the Tiny Tots. lol Tasty Recipe.